At Nonprofit Quarterly, the research staff available to an individual writer is that writer himself or herself alone. To do real investigative work, you need funding, and that is a rarity in journalism nowadays. Most nonprofit journals can’t redeploy writers from their daily responsibilities and put together a team to do detailed, research-based investigative work unless they have regular backing like the philanthropic wealth of the Sandler family that supports ProPublica or the Knight Foundation, which backs a number of local nonprofit news outlets, albeit none dedicated to covering the nonprofit and philanthropic sectors. For that reason, it makes us feel just a tiny bit proud to see the various articles on rural philanthropic grantmaking that NPQ has published over the years, suggesting to no one’s surprise that rural was getting the short end of the stick, validated by a new research report from the U.S. Department of Agriculture. The efforts of the Economic Research Service (ERS) economists who generated Foundation Grants to Rural Areas From 2005 to 2010: Trends and Patterns, started around 2011, near the time when the Department of Agriculture signed a memorandum of understanding with the Council on Foundations meant “to create new sources of wealth in rural America, identify community assets that can be used to produce economic opportunities, promote new partnerships in workforce investment strategies, and promote a series of joint activities including meetings, webinars, and teleconferences to advance common work.” The memorandum followed Agriculture Secretary Tom Vilsack’s presentation at a COF rural philanthropy conference, reported on by NPQ at the time, and the USDA has been quite sensitive about the limited product emerging from the MOU. In 2014, HUD and USDA announced the first Secretaries’ Award for Public-Philanthropic Partnerships, an effort with a clear focus of connecting philanthropy to the program priorities of the federal agencies. The winners were mostly urban save for the clearly exemplary rural selections of the Foundation for Appalachian Ohio and, in Michigan, the Barry Foundation, though the description provided for the latter project on the HUD website didn’t use the word “rural.” Recognition of exemplary rural funders is one thing, but hardly the same as a significant boost in philanthropic activity by the U.S. philanthropic sector. 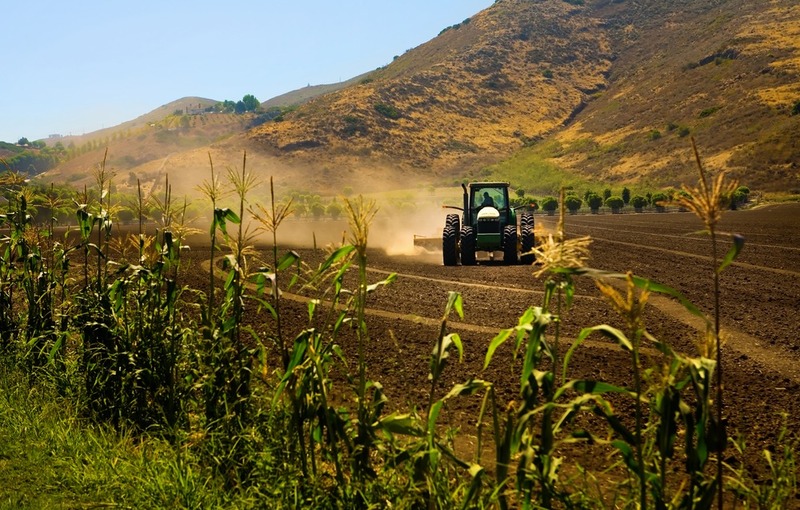 The boost in rural grantmaking still isn’t there despite much attention from the foundations’ national trade association (the Council on Foundations) and some parts of the federal government, and the evidence is in the report from Agriculture on rural philanthropy. The ERS report covers foundation grantmaking during the period of 2005 to 2010. It shows that, given the trickle of foundation dollars into rural, whatever boost the Memorandum of Understanding might have made in rural philanthropy would have been important for rural America. According to the report, foundation grants to rural during that period accounted for 5.5 percent of domestic grants by large foundations, the roughly 1,200 to 1,400 largest foundations whose grants are tracked and tabulated by the Foundation Center. Adding in an estimate of the rural share of grants that went to urban recipients, the study boosts that total to 6.2 percent, though does not subtract the urban-focused portion of grants that went to rural grant recipients, such as colleges and universities located in micropolitan or nonmetropolitan areas. Based on a sample of grants from smaller foundations, the ERS authors boost the rural percentage of overall foundation giving to a bit over seven percent. NPQ’s rural observations always focused on grants for rural community economic development. The ERS report puts the proportion of rural grant dollars going to “community improvement/capacity building” and “housing, shelter” at a combined 5.69 percent of total rural grantmaking of $5.45 billion by large foundations between 2005 and 2010, or roughly $310 million. As a percentage of all large foundations’ domestic grantmaking during that period ($98.85 billion), it is truly tiny. In light of the USDA findings, it appears that the NPQ rural philanthropy estimates that were based on the foundation fundraising of the nation’s most successful rural community developers may well have overestimated the rural generosity of U.S. foundations. The larger USDA number for rural grantmaking includes not just grants to rural development but to all kinds of rural activities and for institutions based in rural communities, such as colleges and universities, beyond NPQ’s limited focus on rural development. Given that 19 percent of the U.S. population is rural, foundation grantmaking to rural of only five or six or seven percent of domestic grant dollars is paltry no matter what spin might be offered. The summary of the report added, “While the total value of foundation grants to rural areas is substantial, the average real value per person (i.e., the total real value of grants, in 2010 dollars, divided by the county average population from 2006 to 2010) provided by large foundations to organizations based in non-metro counties from 2005 to 2010 was only about $88 per person—less than half the average provided to organizations in metro counties.” That finding should be a cause for mobilization from the USDA, more than simply touting an invisible USDA/COF MOU, but the outrage and action simply isn’t there. The report’s list of the top ten rural grantmakers is striking in that the top four on the list are relatively conservative grantmaking institutions. The T. Boone Pickens Foundation tops the list in terms of grants by real dollar value, followed by the Lilly Endowment, the Duke Endowment, and the Walton Family Foundation. Known for its $153 million in grants to Oklahoma State University at Stillwater in 2008, the Pickens Foundation shows its political leanings with grants to conservative think tanks such as the American Enterprise Institute in D.C. and Ward Connerly’s American Civil Liberties Institute in Sacramento. The Walton Family Foundation’s conservative DNA needs no description. Both Lilly and Duke have grant portfolios with large arrays of faith-based grant recipients. The absence of the Ford Foundation among the top rural grantmakers is telling, particularly when Ford for many years was a prominent domestic rural grantmaker. Is a trend emerging that foundations that lean toward the liberal view are writing off rural? If so, that would be a disturbing phenomenon of political and geographic bifurcation. The report suggests, both in the statistical presentation of the data and in the analysis, that foundation grantmaking to rural America favors areas with already reasonably well-funded nonprofit organizations—for example, private universities or the private foundations of public universities—and groups with the purported education and capacity to apply for, receive, and manage foundation support. In the words of the report, “Counties with organizations that have high fundraising capacity, such as universities, appear to receive more foundation funds per capita. This hypothesis is supported by a positive correlation between the college-educated share of a county’s adult population and the value of grants received per capita, found for both non-metro and metro counties. Another indicator of capacity to raise grant funds is the value of assets of nonprofit organizations located in the county, which is also positively correlated with the value of foundation grants in both metro and non-metro counties.” Foundation grantmaking to rural areas, it appears, may be exacerbating not only inequities between urban and rural, but within rural America itself, providing disproportionately less support to areas with lower socio-economic status measures, including poverty, because of the purported lack of capacity of the nonprofit organizational infrastructure that exists. In our experience, where foundation grantmaking undercuts vulnerable communities and populations, the explanation of inadequate capacity is frequently trotted out to justify the inadequate flow of grant dollars. With over 26.1 percent of the rural grant dollars going to rural groups go for higher ed, the implication is that rural higher education institutions might be grabbing a lion’s share of foundation grant dollars for rural America, strengthening colleges and universities, but not necessarily benefitting rural people and communities outside of the higher ed sector. If there’s a message here, it’s probably not going to go far within the foundation sector, whose rural grantmaking even the ERS report acknowledges has been declining and whose conference discussions on rural philanthropy are usually about model projects and good grant writing (telling a good story), and not on the public policy implications of the ERS report (or other commentaries on rural philanthropy, such as those published by NPQ over the years). Rural America needs greater advocacy within and directed at the philanthropic sector, not just good stories about good grants. While the USDA report covers philanthropic grantmaking prior to the USDA/COF MOU, no reports that have reached this desk suggest a major recent upswing in foundations’ rural grantmaking after 2010. Despite the memorandum of understanding with the nation’s major foundation trade association, the Department of Agriculture has not demonstrated the kind of impact it should in moving the tax-exempt funds in foundation endowments toward greater attention to rural needs. Add to this analysis the part that the ERS study didn’t address, the patterns of investment of the 95 percent of foundation assets that are not part of foundations’ annual qualified distributions, and the shortchanging of rural America is more than clear. If more telling evidence were needed about the lack of profile of rural America in U.S. philanthropy, just look at the press coverage accorded the USDA report. Other than an article in the always reliable, rural-focused Daily Yonder by editor Tim Marema, the USDA study on rural foundation grantmaking has been just about invisible in the mainstream press and in nonprofit news outlets. Foundation grantmaking for rural needs rarely ever makes it into press coverage. Recent rare instances of press coverage of rural philanthropy include a foundation role in the potential affordability preservation of two rural Section 515 apartment complexes in New Hampshire whose affordability restrictions could be at risk of expiring soon, a pitch to a family foundation in Georgia to convert a farm to a tourist center, and the attention of some philanthropic institutions in Texas to the areas of the state underserved by mental health professionals. Signs of life regarding philanthropic attention to the changing contours of rural needs are often hard to find. In an initiative that follows the ambitious War on Poverty by more than 50 years, four senators and the Bipartisan Policy Center offer a blueprint once again for transforming the historically poor Appalachia region—and fall short.